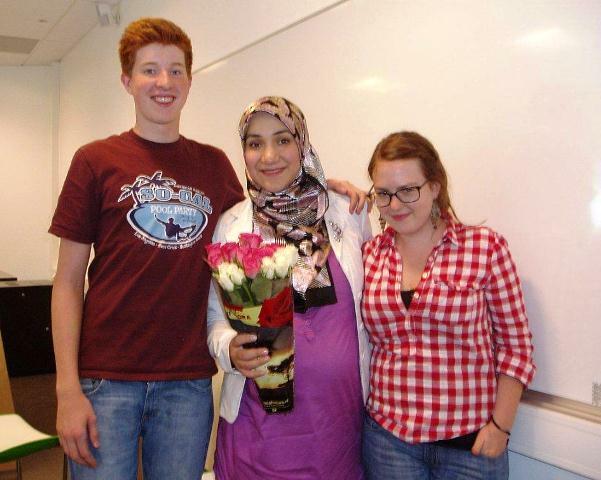 The last couple of weeks, some of the English and Religion classes at KG have had the privilege of meeting Amina Kifayatullah. Amina comes from Pakistan. Until last year, she taught Islamic philosophy at Islamic University in Islamabad, the capital of Pakistan. With her knowledge, her smile and her kindness she made the lessons extraordinary. 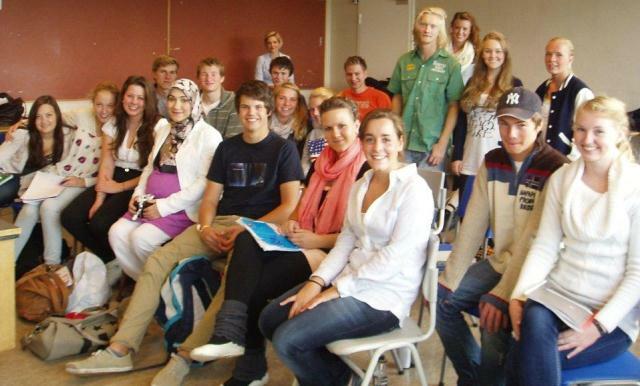 The first time Amina came to KG, she visited our Senior English Social Studies class. She is pregnant with the twins she is going to give birth to in just a few weeks, but still she very much wanted to visit our class. We were all looking forward to meeting her, and she did not disappoint us. Soon after the bell rang, the most kind and lovely woman entered the classroom, and probably one of the most memorable English lessons this year began. Amina told us about her childhood, her education, her faith and about life in Pakistan. Her faith was very important to her. She told us that it gave her strength and made life meaningful to her. Moreover, she told us many interesting things about Pakistan, a country with 170 million inhabitants. She asked us to be more objective and critical in the meeting with the stereotypes the media often creates about Pakistanis, to see individuals instead of groups, and to understand that there are normal people, just like us, in Pakistan too. 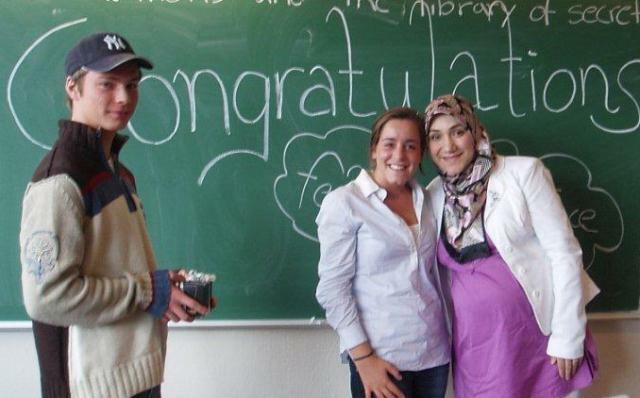 “I will remember this for the rest of my life”, Caroline Sert told Amina when the English lesson was over, and we thanked her for coming to our class. 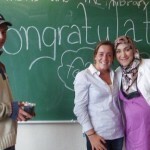 A week later Amina also visited our Religion and Ethics classes (3A and 3D). She focused on the Islam part of our curriculum in Religious Studies: the five pillars of Islam (de fem søylene): profession of faith (trosbekjennelse), prayer, fasting, charity and pilgrimage. Three quarters of an hour turned out to be too short, because Amina had so many interesting things to tell us about the topics. 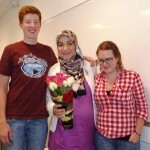 Amina Kifayatullah’s visits to KG have been exciting, moving and educational. I believe we are all grateful to her for choosing to spend time with us and for sharing her knowledge with us. It has been an unforgettable experience.